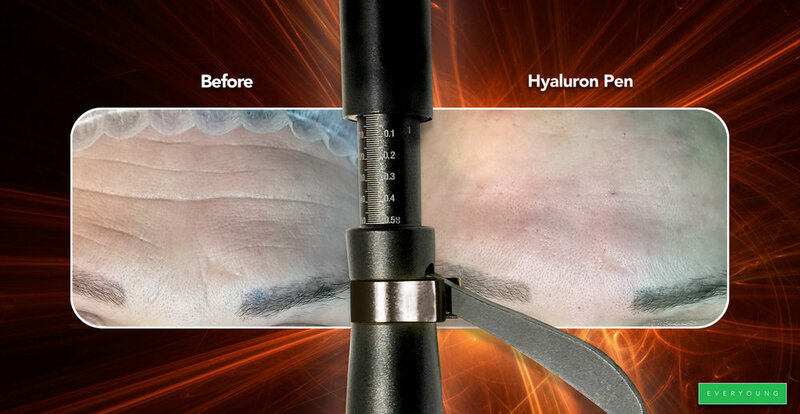 Hyaluron Pen training is two full-day training for beauty professionals that are interested in starting the Hyaluron Pen treatments right away after the class. The training is carried out in small groups by an Everyoung master-trainers. Small group trainings in London, Tallinn, Helsinki, Stockholm, St Petersburg, Riga / COMPREHENSIVE NO 1 IN THE WORLD ONLINE TRAINING. 3000+ STUDENTS ONLINE & OFFLINE in 1 year! We are by far the largest Hyaluron Pen Academy in the world with the most comprehensive programs. Signature “B” as the Boss - Bulletproof. Reliable. Patented. The original Hyaluron Pen. Engineering teams on different continents have spent months to build the best and most reliable hyaluron pen ever made. Let us present you - BULLETPROOF Series Hyaluron Pen. Also known as the the killer of overpriced, fake and limited pens. Only one can be the best. We use original tools designed by Runkle Labs Industrial Design team. Original. Patented. The best. All students receive web access to online-training where some of the techniques as well as many medical aspects related to treatment are explained in more detail. Participants receive a full workbook, contracts as well as all the marketing materials needed to get started with providing the service. There are lots of different pens on the market. We have tested all that we have been able to find. We can always consult you how you can get the best tools. In addition to that we have very good starter kit. Hyaluron Pen. A tool for practicing. Syringe for transferring Practicing filler. Practicing filler (for model practicing) 5 x 0.5 ml. Disappears faster than normal HA filler. Workbook (high-quality printout - 30 pages). Student discount code for ordering Everyoung filler cocktails from the online learning platform. Classes are carried out in Stockholm, Helsinki, Tallinn, St Petersburg and London. Online training complete course starting from 299€. 1 day live training seat in Tallinn with starter kit starting from 1390€. Complete Online training 299€- Join today! Comprehensive online training with 50+ pages on learning materials and all the needed contracts, care instructions. Also contains actual training videos. The price includes support + online examination with an instructor. After a successful examination, the student gets an Everyoung Hyaluron Pen Certificate. Perspective price for online training + Starter kit *- 649€! To be able to purchase starter kit, you have to join the platform first. * - Starter kits are available upon status of the stock and each student is allowed to buy 2 starter kits max. With the skills from Hyaluron Pen Academy you are able to do amazing work! Live training - ask for more information!